We're excited to be a part of this huge line-up of Merseyside musicians next week who will be taking over The 27 Club in Liverpool in aid of Crisis, the national charity for homeless people. 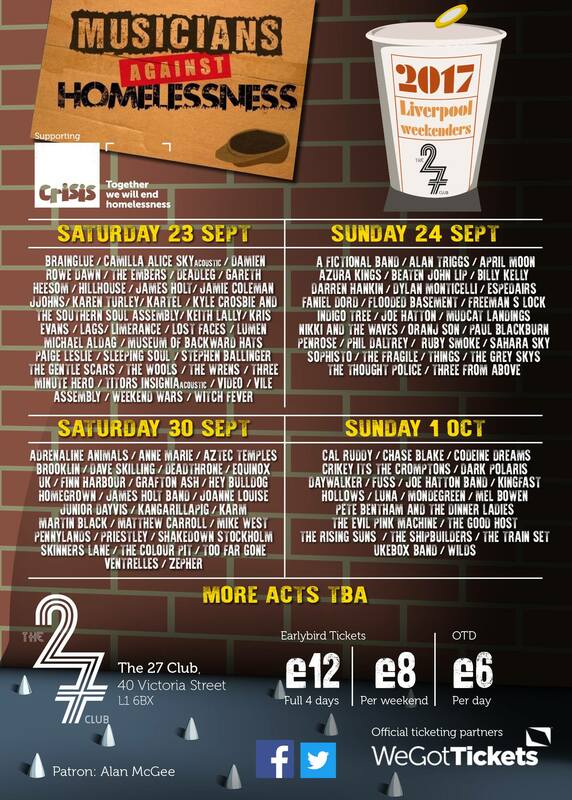 We'll be playing on Sunday 1st October in the second of two music weekenders, alongside Cal Ruddy, The Shipbuilders, The Good Host and loads more. Would be great to see some of you there so we can help raise as much money as possible for this important charity. Check out the full line-up and get your tickets here.